We are delighted to announce that Care for Veterans is the official nominated charity for Goodwood Revival 2019! We are so fortunate to have been chosen and are most grateful to the Duke of Richmond for making this possible. The Duke’s family have a long association with our charity, dating back to the Duke’s great grandfather and grandfather. We are so pleased that this close association continues during our very special year. The Goodwood Revival is the only historic race meeting to be staged in period theme, recreating the romance and glamour of motor racing as it used to be. 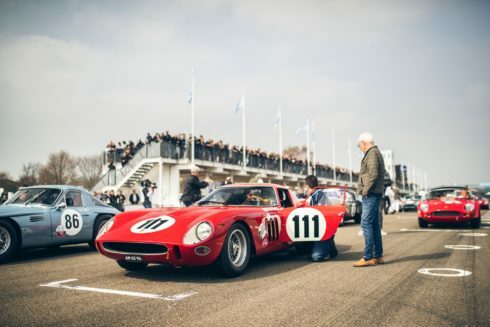 Goodwood Motor Circuit comes alive for Revival, both on and off the historic track, and is one of the most prestigious events in the country. For more information about the event and to purchase tickets, visit the Goodwood website. We are looking for people to help Care for Veterans on any of the three days of the event, and if you volunteer to come and collect for one of the three-hour slots, you will receive a full day pass to the event free of charge! Anyone interested should contact the fundraising department on 01903 218444.